Incredible Instant Air Discounts to Some of the Most Popular Resorts in Mexico & the Caribbean!!! Discounts, Limitless Resort Credits & Kids Stay Free! Oh My!! Super Savings, 2 Kids Free and the Best Part... Free Family Sliming!!! Special Price Sailings to Cuba for 7 Nights! Be among the first U.S. travelers to sail to Cuba in over 50 years! 5 Day Escorted Tour of Machu Picchu, Cuzco & Sacred Valley with Flight from Miami - $250 Savings Per Person!! 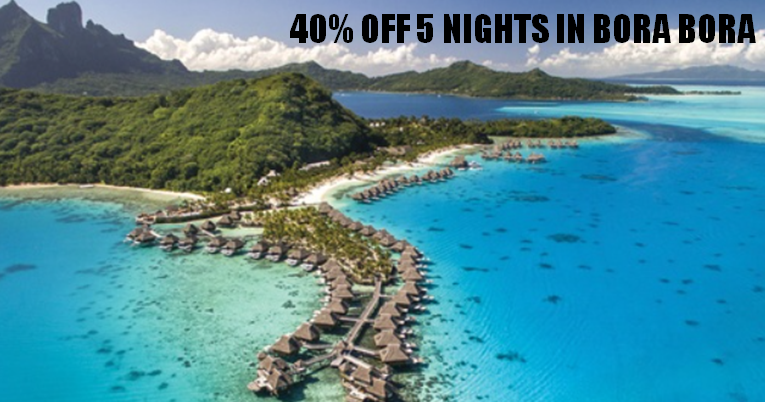 Save 40% on a 5 Night Stay at the New Multi-Million Renovated Conrad in Bora Bora! !